After preservationists and developers reached an historic agreement to support an increase in FAR (density) for the North Beach Town Center which was subsequently approved by voters, they have been careful to keep the companion piece of legislation – including the Tatum Waterway in the North Shore Local Historic District – moving along at the same pace. 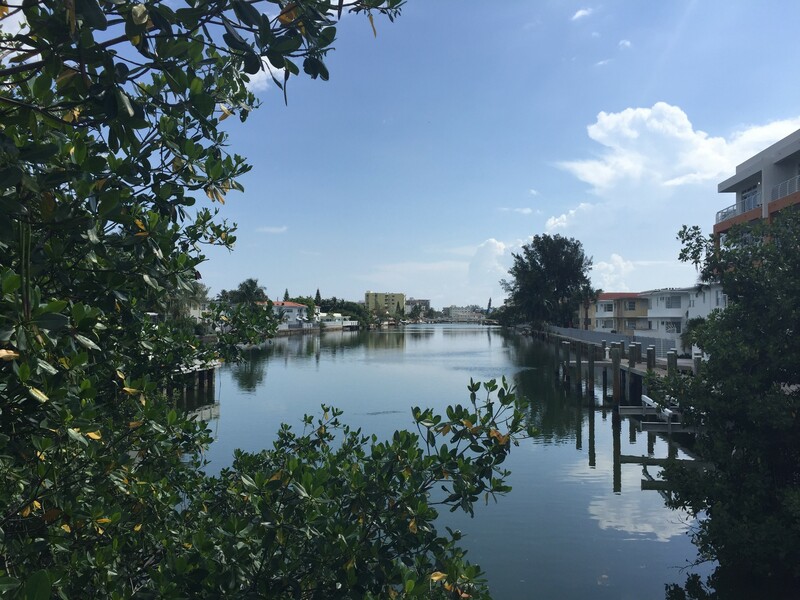 This week, Miami Beach Commissioners gave their final approval to the two ordinances that implement the new Town Center FAR and provide historic designation for the Tatum Waterway. Daniel Ciraldo, Executive Director of the Miami Design Preservation League (MDPL) said, “Because of the public benefit in terms of implementing the Master Plan [which recommended increasing density in the Town Center] and also getting the historic designation of surrounding neighborhoods, it seems to be a good thing… I do think the future of North Beach is looking bright.” Ciraldo, preservation activist Nancy Liebman, and investor Matis Cohen were among those who reached the compromise that laid the groundwork for both ordinances. Next up, design guidelines for building within the new Town Center Districts. While designation of the Tatum Waterway (above) was part of the Town Center compromise, not everyone was celebrating. John Breistol, President of Ytech International which owns and operates the Grand Beach apartment complex along the Tatum Waterway, asked Commissioners to delay their vote. Breistol said Ytech has owned the Grand Beach since 2015, cleaning it up, making improvements, and eliminating the crime there. Grand Beach consists of 22 buildings with 182 apartment units making Ytech the largest property owner/stakeholder along the Tatum Waterway. Responding to a question about working with Ytech, Liebman said the historic designation does not mean people can’t do anything with their buildings. She said the preservation community will “gladly help them” but she said the City also has to help with corrective measures. “The point is that we’re all trying to work together to take a reasonable approach,” he concluded. 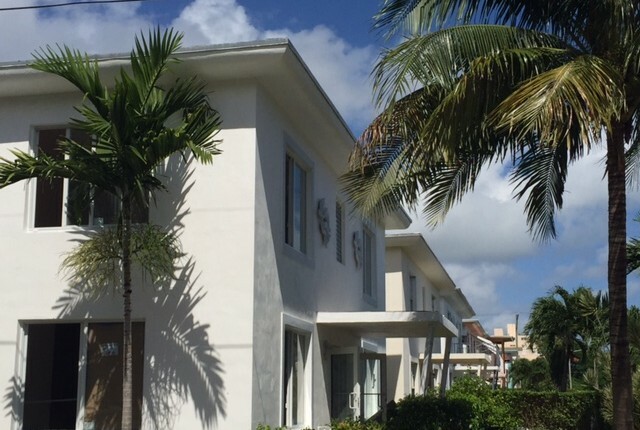 Mooney said in order to update the development guidelines the City first had to get survey data “which was lacking.” The Planning Department started working with surveyors on “two of the more vulnerable” historic districts, the Collins waterfront area along Indian Creek and the western area of Flamingo Park. That task is almost complete and includes property elevations as well as first floor elevations for properties that they were given access to by owners. Arriola said he is working on a historic preservation fund to help property owners and noted that he has “unsuccessfully asked my colleagues to allow adaptive reuse to rehabilitate buildings” along Tatum Waterway and “to create an economic incentive for landlords to invest in the buildings and improve the quality of life of residents who have zero mixed-use in their community” and have asked for local cafés and other amenities within walking distance.